What does your engine need? Should you warm up a car in cold weather? Does your car need an engine flush? How often should you change oil in your engine? How do you know if your car needs a new air filter? Does my car have a timing belt? When should it be replaced? Does the timing chain need to be replaced in regular intervals? When to replace engine splash shield and fender liners? How long does the car battery last? When to replace? What can cause the battery to drain overnight? Signs of a failing starter motor? 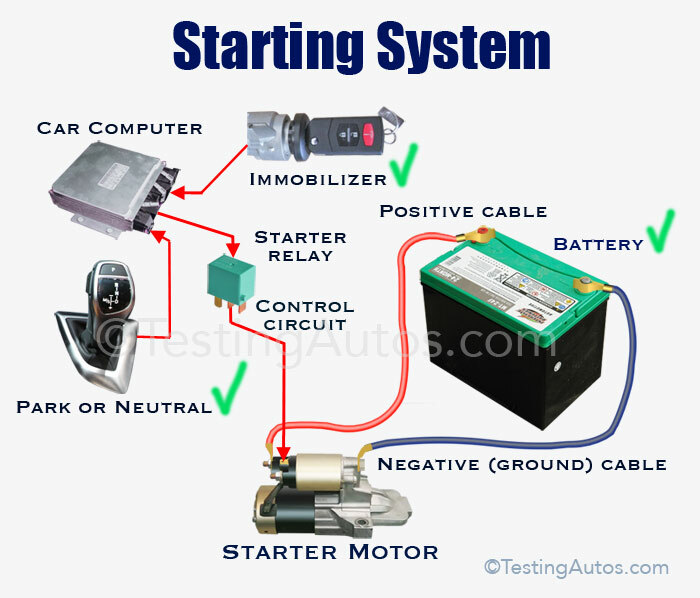 How do mechanics test a starter motor? Can I replace just a glass on my side view mirror? Why a phone won't pair with a car Bluetooth? Do you have to change shocks in pairs? 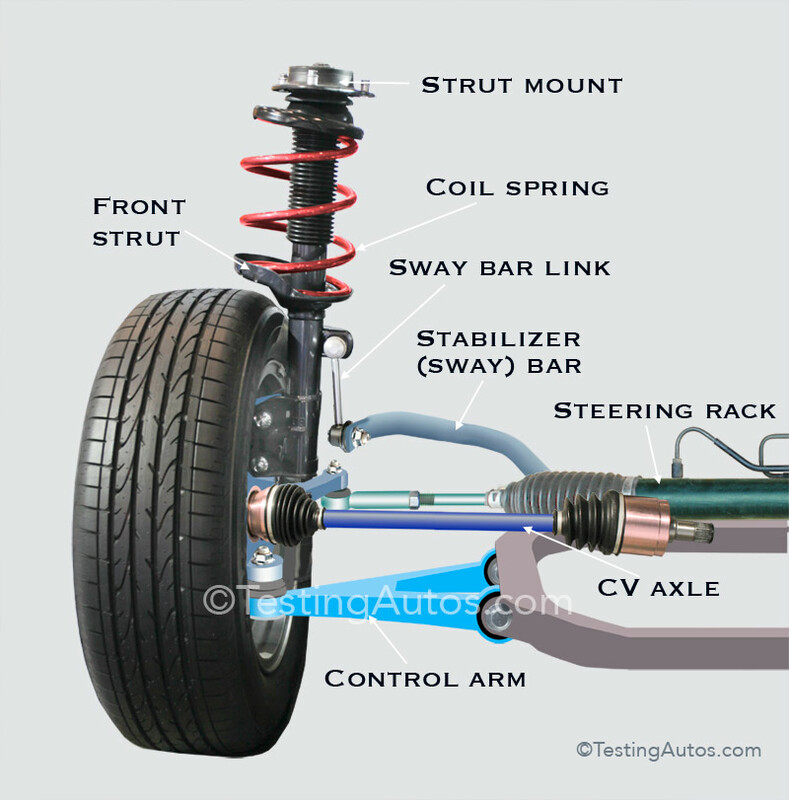 What are the sway bar links? When to replace? When does the transmission pan need to be resealed or replaced? When does a CV axle need to be replaced? Are AWD cars more expensive to maintain than FWD? What is 4WD binding (windup)? Should you warm up the engine or drive off right away in cold weather? From the mechanical point of view, it's better for the engine if it warms up evenly. It's also important that it has enough coolant (antifreeze) and fresh oil. Old dirty oil is thicker and doesn't flow well in very cold temperatures and this can cause oil starvation. If it's above or sightly below freezing, there shouldn't be any problem if you drive off right away. In extreme cold, let the engine warm up a bit before driving. It's always a good practice to take it easy on your engine when it's cold. Synthetic oil works better in cold temperatures. Yes, if all the other parts are not damaged, the side view mirror glass can be replaced separately. The price for the glass part ranges between $20 and $150. It's important to order a glass using the VIN number, because the part number will be different for different model years and options (Blind Spot Monitor, Self-dimming, etc.). The dealer may charge you from $50 to $150 to replace the glass. In most cars the glass just pops into the clips, but the plastic clips are very fragile and break easily, especially in cold weather. If you are planning to do it yourself, get the proper instruction and make sure, the parts are at least at room temperature. 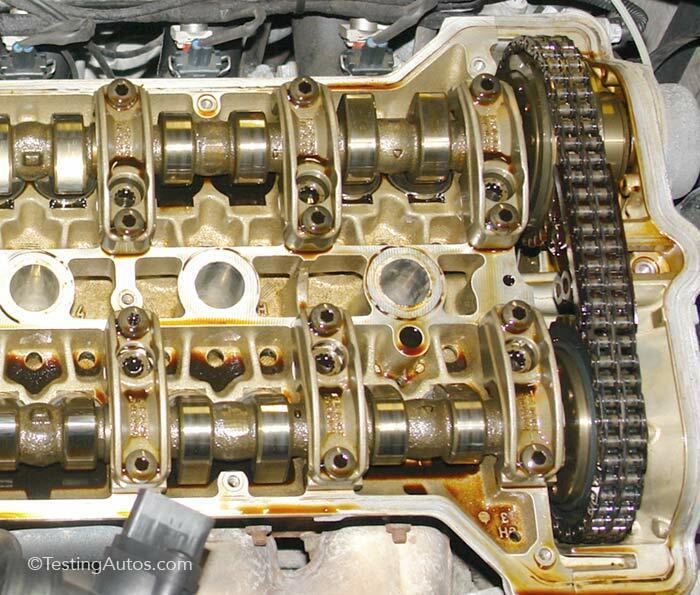 At 80K miles, this engine is clean inside thanks only to regular oil changes. What is an engine flush? It's flushing the inside of the engine during an oil change with a chemical designed to dissolve sludge and carbon deposits. Some shops use an engine flush machine, others simply add an additive into the engine and run it for 5-15 minuses before changing the oil. There are cases when an engine flush can help, but we have also seen problems caused by flushing the engine. In our opinion, doing regular oil changes is enough to keep your engine clean inside. Most modern cars use synthetic oil that doesn't leave as much sludge and car manufacturers in general don't recommend using additives in their engines. It's not necessary, but it's usually recommended to replace them in pairs, for example, both front struts or both rear shocks. This is because a new shock absorber will absorb road bumps better than the old one. 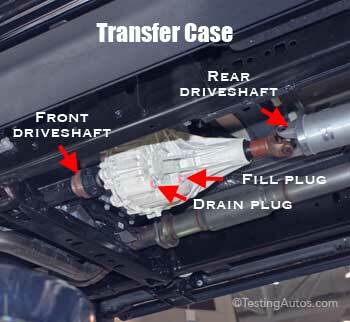 If you replace only one shock absorber, it may create "unevenness" from side to side when driving over bumps. However, if your car is not very old, replacing only one strut or shock absorber may be enough, since the opposite side is not worn out yet. Read more. What is a cabin filter and when should it be replaced? A cabin filter is installed in the heating and air conditioning system. It filters the air that enters the cabin. A dirty cabin filter can cause an unpleasant smell from the air conditioner. When the cabin filter is plugged up, it causes reduced air flow from the vents, even with the blower motor running at full speed. A dirty cabin filter can also cause unpleasant smell from the air conditioner. Health concerns are the most important issue, as the air you and your passengers breathe inside your car passes through the cabin filter. Dirt on the cabin filter can promote mold, fungi, and bacteria growth on its surface. This can cause allergic reactions and other health issues. Keeping the cabin filter clean is especially important if you're driving with kids. Is it expensive? 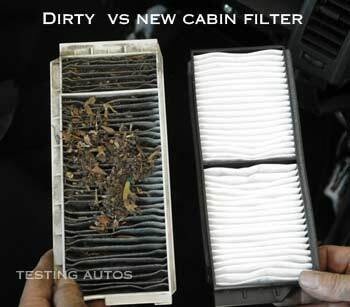 Cabin filter replacement can be done at your dealership or in an independent repair shop. It can cost from $60 to $95, depending on the car. Recommended replacement intervals vary between 15,000 and 30,000 miles. Some car manufacturers recommend cleaning the cabin filter every 12-18 months. For example, for the 2010 Camry, Toyota recommends cleaning the cabin filter every 18 months or 15,000 miles and replacement every 36 months or 30,000 miles. Typically, there are two maintenance schedules; one for normal and one for severe driving conditions. 'Severe' conditions include extreme hot and below-freezing temperatures, towing a trailer, driving only short trips, off-roading, racing, etc. The main difference is that the schedule for severe conditions recommends shorter service intervals. Many newer car (e.g. 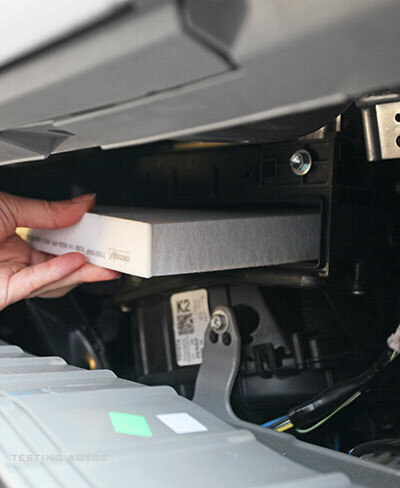 BMW, Honda, GM) have an in-vehicle maintenance reminder that will display when your next maintenance service is due. One thing to be aware of is that these systems have limited capabilities. For example, in many cars the maintenance reminder system may calculate when your next oil change is due, but it might not know if your engine oil level dropped. It's also worth noting that industry experts don't always agree with car manufacturers in terms of maintenance requirements. In recent years, car manufacturers increasingly compete for lower ownership costs. As a result, it's not uncommon to see less stringent maintenance requirements, for example, 10,000- or 15,000-mile recommended oil change intervals. 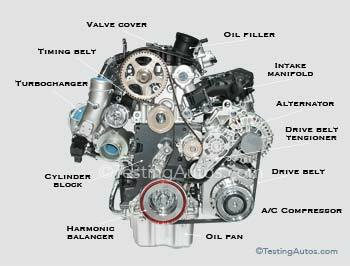 However most car experts will probably tell you that your car needs more frequent services. When does a starter motor need to be replaced?